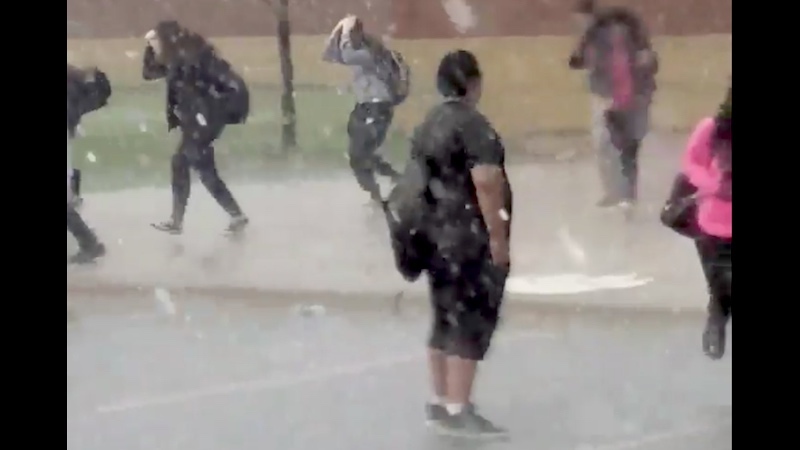 Kid who won't run from the rain becomes the poignant meme the internet so desperately needs. Twitter user @melliinaa_, a high school student in Illinois, has captured one of the most poignantly beautiful and yet hilarious moments that Twitter has ever seen. Of course, it doesn't hurt that she added the best possible soundtrack. With more than 81,000 retweets, it's safe to say this thing is a hit. The response is overwhelming. It even got a like from 30-year-old teen idol Drake. Every time a new detail came out, people were more impressed by this young man. Others wondered what was going on in his life to make him act this way. Was he in crisis? Oh. Well, he's still a badass.